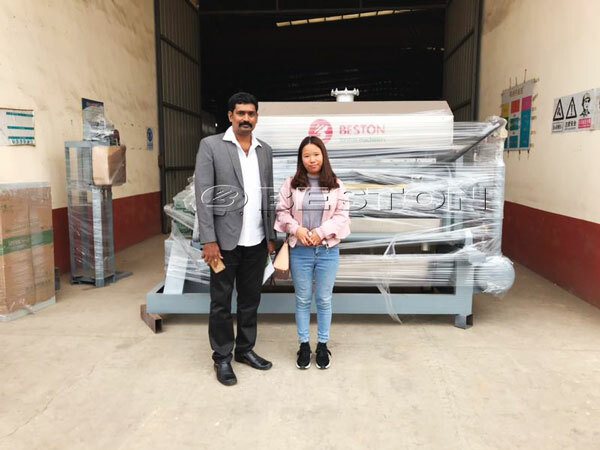 Good news, Beston machinery had exported two sets of 2500pcs egg tray machines to India in October. We had shipped many sets of egg tray making machines to India. From feedback, we know Indian customers are satisfied with our products and service. Also, paper egg trays that they manufactured are sold very well on the market. Therefore, egg tray making machine in India has very good perspective. When the machines were delivered to India, we will assign our engineer to help them to install the egg tray making machines in India. 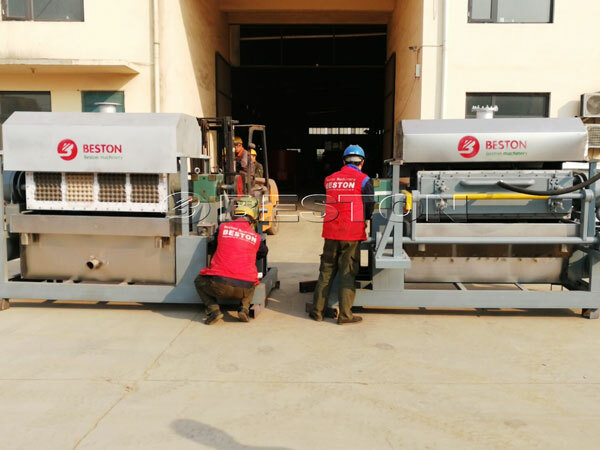 From building pulp pool to egg tray drying line, we will give the most appropriate installation suggestions and will debug the egg tray plant. Our engineer will fly back until you begin to make paper egg trays in large batches. 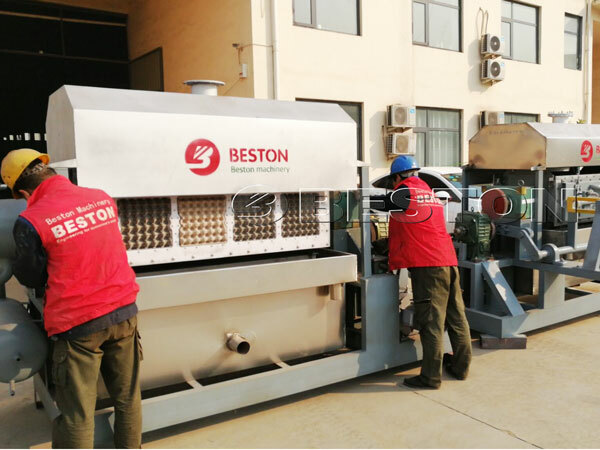 As professional one of egg tray machinery manufacturers, Beston Machinery has perfect installation service. After buying the egg tray making machine, you don’t need to worry about the installation details and problems. We will solve any problems for you. 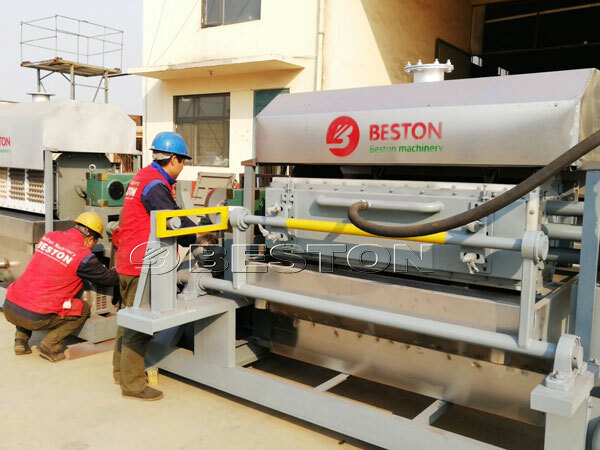 You will feel pleased and relaxed to cooperate with we Beston Machinery. If you want to run small business, contact us now! You can choose 1000pcs, 1500pcs, 2000pcs, 2500pcs, 3000-5000pcs, 5000-7000pcs paper egg tray making machine from us.